Adam Driver was teased about the size of his ears during his time as a U.S. Marine. Before going into acting the Star Wars: the Force Awakens actor joined the Marines in 2001 and served his country for two years and eight months before being medically discharged. Adam’s time in the special forces saw him treated very differently to the way he is now as one of Hollywood’s up and coming stars. Speaking to U.S. late night host Stephen Colbert, the actor revealed that he and a fellow Marine were given cruel nicknames relating to the size of their ears. Adam feels that his military service prepared him perfectly for an acting career, telling Stephen, “For me it’s like a small group of people working as a team, everyone has a role, you have to know your role it’s never about one individual person. Despite his stellar rise to the top of the acting profession, he does regret his time as a soldier being cut short by a mountain biking accident which shattered his sternum, as he explained to America’s Military Times magazine last year (15). “I felt like I hadn’t completed my four years. That always kind of bothers me,” Adam said. 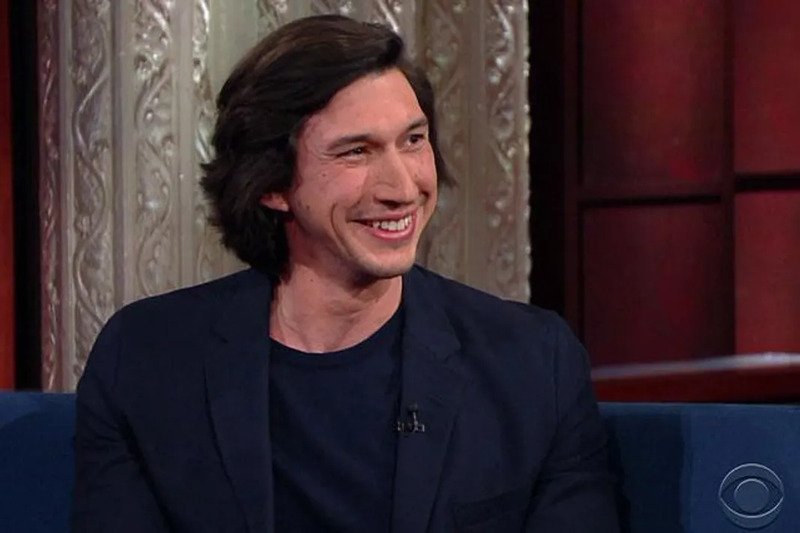 In his interview on The Late Show with Stephen, the actor also indicated that he was enjoying the stardom which has come due to playing villain Kylo Ren in the new Star Wars films, a role he will return to in the next instalment, Episode VIII in 2017.